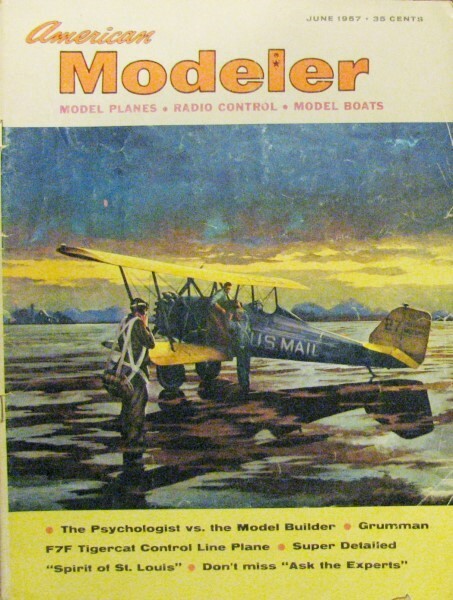 This particular page is from page 49 of the June 1957 issue of American Modeler magazine. 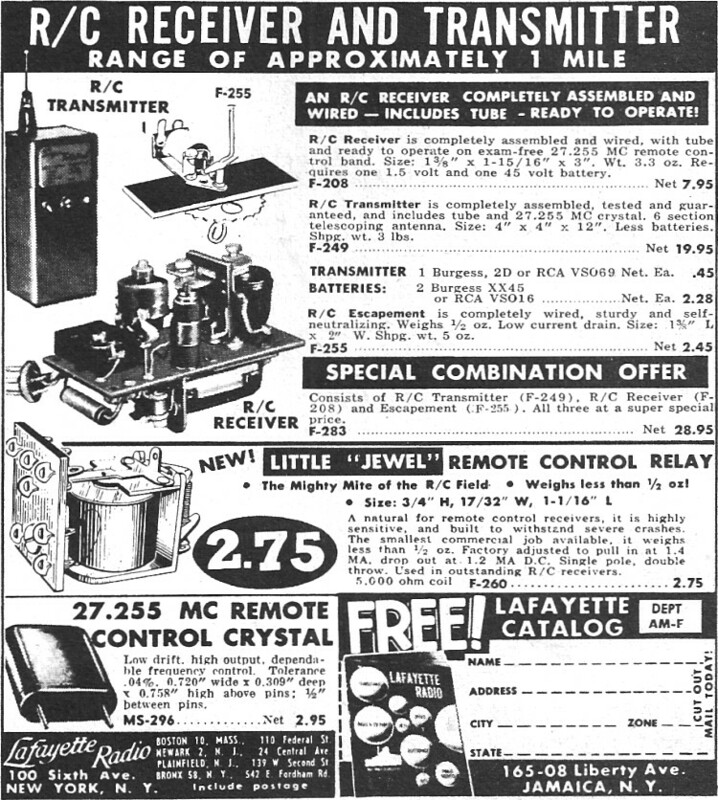 Lafayette Radio is still in business today, but they do not model aircraft equipment anymore. All copyrights (if any) are hereby acknowledged. Here is a thumbnail of a cool old photo on the Lafayette Radio website (look at the bottom of the page). Use the U.S. Bureau of Labor Statistics' inflation calculator to see what items cost in today's dollars. 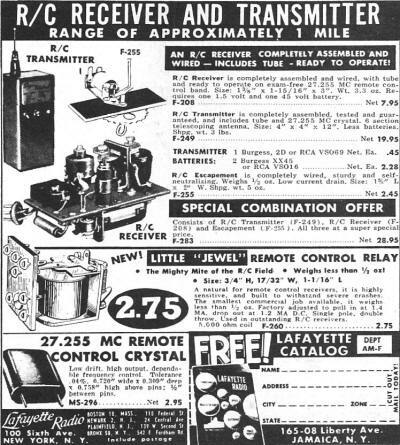 For instance, that $19.95 "R/C Transmitter" would be $154.19 in 2011 money.